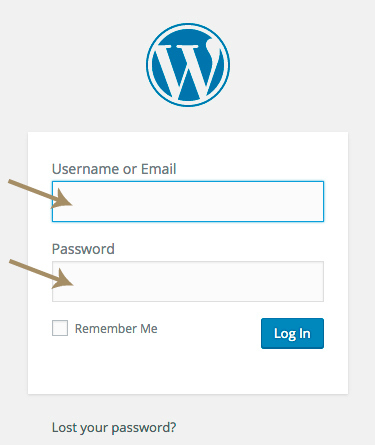 Now that you've installed Wordpress, it's time to login to access the dashboard. 1. Enter your ADMIN URL in the address field of your browser. 2. Enter your USERNAME and PASSWORD. Click "Log In." 3. Voila! 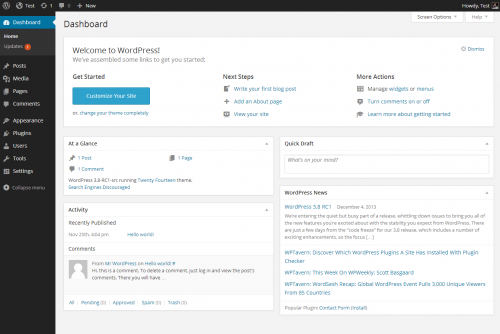 Here's your new Wordpress dashboard! Go ahead ... take a look around. Don't worry, you won't break anything! You'll notice in the "At A Glance" box that Wordpress has provided a sample post, a sample comment on that post, and a sample page. You'll also see a note that Wordpress is running a pre-installed theme. This is provided to give you an idea of the basic functionality of Wordpress.